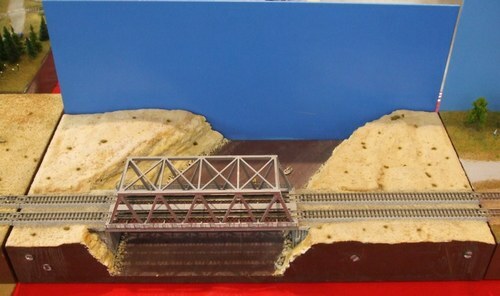 Description: Bridge over a red colored river. This Module is a part of my first Set of Modules. It explores the reverse construction (some call it "upside down"). The background can be mounted with magnets on both long sides , so the tracks are either in the fore- or background.